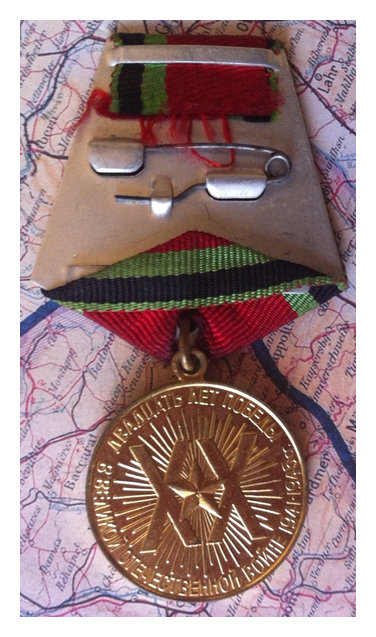 This is the Soviet commemorative medal issued in 1965 on the 20th anniversary of victory over Germany. 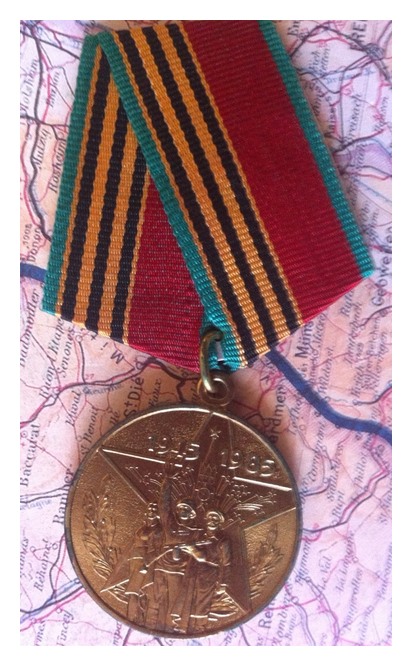 The Jubilee Medal “Thirty Years of Victory in the Great Patriotic War 1941–1945″ was awarded to: all military and civilian personnel of the Armed Forces of the USSR who took part in the Great Patriotic War of 1941 – 1945, to partisans of the Great Patriotic War, to the personnel of the Armed Forces of the USSR, as well as any other persons who were awarded the Medal “For the Victory over Germany in the Great Patriotic War 1941–1945″, the Medal “For the Victory over Japan” or the Medal “For Valiant Labour in the Great Patriotic War 1941-1945″. 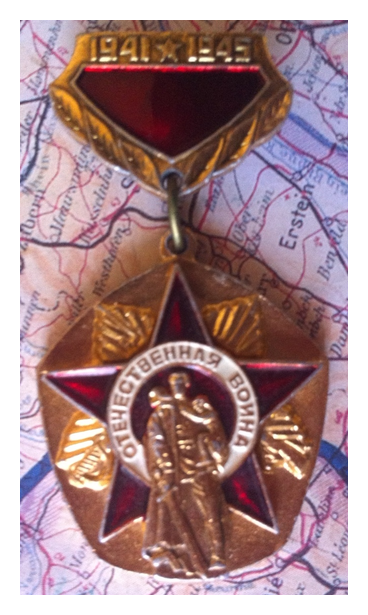 This is the Soviet Gold Participation Badge for the Great Patriotic War. 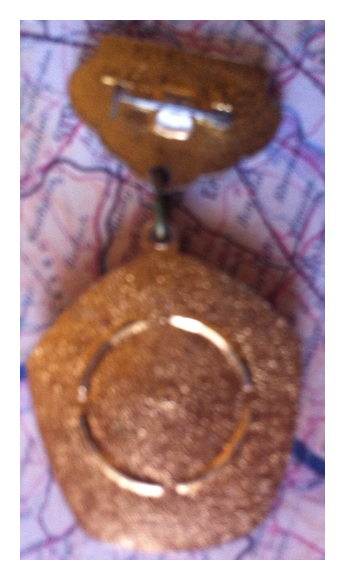 Not a medal. 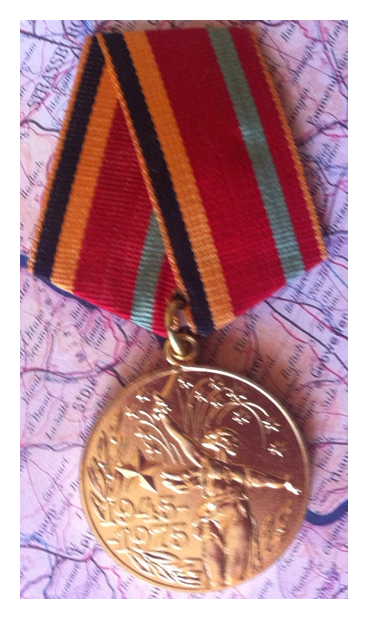 This is the Soviet commemorative medal for the 30th anniversary of victory in the Great Patriotic War. 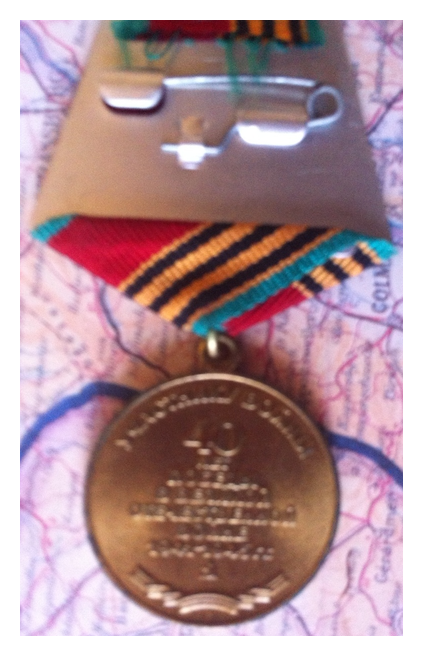 The Jubilee Medal “Thirty Years of Victory in the Great Patriotic War 1941–1945” was awarded to: all military and civilian personnel of the Armed Forces of the USSR who took part in the Great Patriotic War of 1941 – 1945, to partisans of the Great Patriotic War, to the personnel of the Armed Forces of the USSR, as well as any other persons who were awarded the Medal “For the Victory over Germany in the Great Patriotic War 1941–1945”, the Medal “For the Victory over Japan” or the Medal “For Valiant Labour in the Great Patriotic War 1941-1945”. 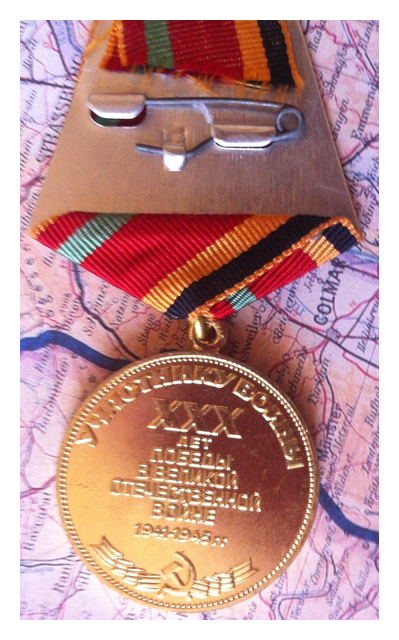 This is the Soviet commemorative medal for the 40th anniversary of the Great Patriotic War. 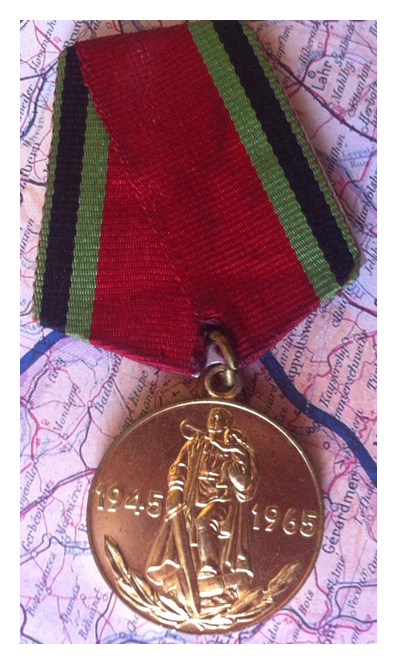 The Jubilee Medal “Forty Years of Victory in the Great Patriotic War 1941–1945” was awarded to: all military and civilian personnel of the Armed Forces of the USSR who took part in the Great Patriotic War of 1941 – 1945, to partisans of the Great Patriotic War, to the personnel of the Armed Forces of the USSR, as well as any other persons who were awarded the Medal “For the Victory over Germany in the Great Patriotic War 1941–1945” or the Medal “For the Victory over Japan”; to home front workers, who were awarded for their dedicated work during the Great Patriotic War Orders of the USSR, the Medal “For Valiant Labour in the Great Patriotic War 1941-1945”, or other medals of the USSR such as “For the Defence of Leningrad”, “For the Defence of Moscow”, “For Defence of Odessa”, “For the Defence of Sevastopol”, “For the Defence of Stalingrad”, “For the Defence of Kiev”, “For the Defence of the Caucasus”, “For the Defence of the Soviet Arctic.”.